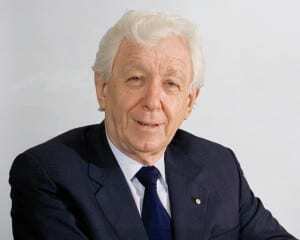 Westfield chairman and soccer supremo Frank Lowy wrote a foreword in 2004 to “The Dragon’s Journey”, the story of a teenage refugee from the Vietnam War who became a healer to some of the world’s most influential people. Now the book is the subject of a new web site. Lowy co-wrote the foreword with Rupert Murdoch. The books outlines the life of Duy Long Nguyen, detailing his involvement with celebrities such as Keanu Reeves, Linford Christie, Elle Macpherson and many Australian sporting personalities. Longy, as he is known, has opened his first clinic in Sydney specialising in the treatment of lower back and neck pain and sporting injuries. Lowy and Murdoch wrote “we are just two of hundreds, probably thousands, to say how grateful we are that Longy has succeeded…because without his healing intervention we would not be as active as we are. Anyone who has had back problems will know how limiting they are. Longy is a remarkable human being. The new web site coincides with the opening of Longy’s new Sydney clinic.